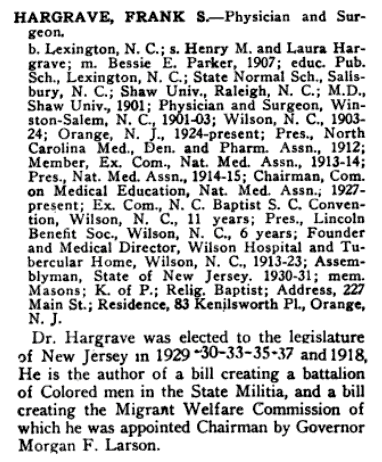 Dr. Frank Settle Hargrave, a native of Lexington, North Carolina, was a founder of Wilson Hospital and Tubercular Home (later known as Mercy Hospital) and its medical director from 1913 to 1923. 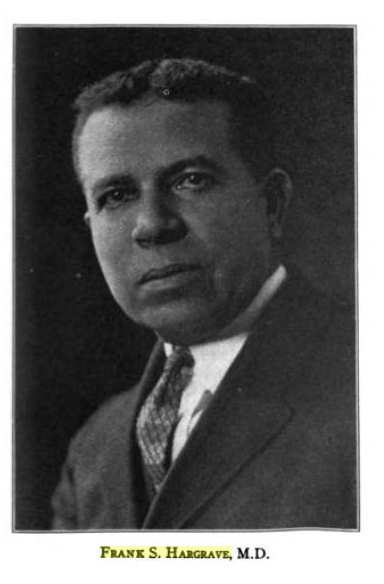 He was president of the National Medical Association (the African-American equivalent of the American Medical Association) 1914-15. ← African-American residents of the town of Wilson, 1860.